I found the traditions of how the ceremonies go on the Warrior Cats Wiki. I decided to post them here. Leader: (Kit), you have reached the age of six moons, and it is time for you to be apprenticed. From this day on, until you receive your warrior name, you will be known as (new name, ending with "paw"). Your mentor will be (name of warrior). I hope (name of warrior) will pass down all he/she knows on to you. Leader: (Warrior), you are ready to take on an apprentice. You had received excellent training from (former mentor), and you have shown yourself to be (quality) and (quality). You will be the mentor of (apprentice), and I expect you to pass on all you know to (apprentice). The mentor touches noses with the apprentice, and the Clan greets the new apprentice by calling out his/her name. After this, the apprentice will usually go greet their family, or go see to their mentor. Medicine Cat: Cats of (Clan), as you know, I will not be around forever. So it's time I took an apprentice. I have chosen a cat who has shown (virtues). Your next medicine cat will be (apprentice). Leader: (Apprentice), do you accept the post of apprentice to (medicine cat)? Medicine Cat: Then at the half-moon, you must travel to the Moonfield to be accepted by StarClan before the other medicine cats. Leader: The good wishes of all (Clan) will go with you. The mentor touches noses with the apprentice, and the Clan greets the new apprentice. Medicine Cat: (Apprentice), is it your wish to enter the mysteries of StarClan as a medicine cat? Medicine Cat: Then come forward. Medicine Cat: Warriors of StarClan, I present you with this apprentice. (He/she) has chosen the path of a medicine cat. Grant (him/her) your wisdom and insight so that (he/she) may understand your ways and heal (his/her) Clan in accordance with your will. The medicine cat apprentice does whatever you do to communicate with Starclan (Like at the Moonrock you touch the rock and at the Moonpool you drink the water) Then the medicine cat and the apprentice lay down and have a dream from StarClan. Leader: I, (Leader), leader of (Clan), call upon my warrior ancestors to look down on this apprentice. (He/she) has trained hard to understand the ways of your noble code, and I commend (him/her) to you as a warrior in (his/her) turn. Leader: (Apprentice), do you promise to uphold the warrior code and to protect and defend your Clan, even at the cost of your life? Leader: Then by the powers of StarClan, I give you your warrior name. (Apprentice), from this moment you will be known as (new warrior name). StarClan honors your (virtues), and we welcome you as a full warrior of (Clan). The leader rests his or her muzzle on the apprentice's head, and he or she licks the leader's shoulder. The rest of the Clan then greets the new warrior by calling him or her by their new name. The warrior will sit a silent vigil guarding the camp that night, except if that is not possible (such as Squirrelflight's ceremony, when the Clan did not have a camp, and the task of exploring the lake was assigned). Leader: I say these words before StarClan, so that the spirits of our warrior ancestors (or former deputy name) may hear and approve of my choice. The new deputy of (Clan) is (warrior's name). Life-Giver: (Touches nose to the top of the new leader's head) With this life I give you (gift). Use it well (to, in, as, for, etc.) (use of gift). Previous Leader: I hail you by your new name, _____star. Your old life is no more. 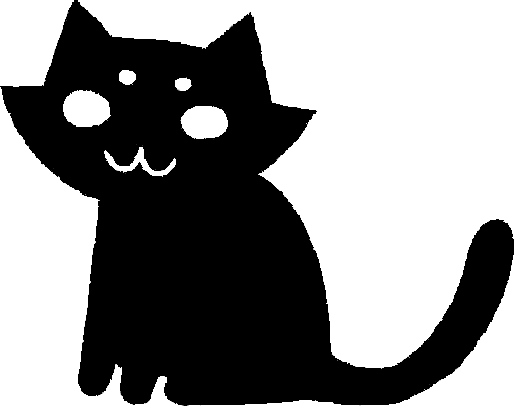 You have now received the nine lives of a leader, and StarClan grants you the guardianship of ____Clan. Defend it well; care for young and old; honor your ancestors and the traditions of the warrior code; live each life with pride and dignity. Just as the forest-cats would call a warrior by their new name, the StarClan cats acclaim the new leader. After the ceremony, the new leader is not allowed to tell any cat what happened during the ceremony. Medicine Cat: I, (name), medicine cat of ___Clan, call upon my warrior ancestors to look down on this apprentice. (He/she) has trained hard to understand the ways of a medicine cat, and with your help (he/she) will serve (his/her) Clan for many moons. Medicine Cat: ___paw, do you promise to uphold the ways of a medicine cat, to stand apart from rivalry between Clan and Clan and to protect all cats equally, even at the cost of your life? Medicine Cat: Then by the powers of StarClan I give you your true name as a medicine cat. ___paw, from this moment you will be known as (new name). StarClan honors your (virtues), and we welcome you as a full medicine cat of (Clan). The medicine cat rests his or her muzzle on the apprentice's head, and he or she licks the mentor's shoulder. The other medicine cats greet him or her by their new name. An aging warrior, queen, or medicine cat may retire as an elder due to own initiative, when they feel they cannot help the Clan efficiently any more (such as Mousefur or Speckletail). A cat may also retire if they are hindered from serving their Clan through old age (such as Poppydawn), illness (Tawnyspots), or injury (Stonepelt). They report this to the Clan Leader, who calls a Clan Meeting and addresses the warrior. Leader: (Warrior), is it your wish to give up the name of a warrior and go to join the elders? Leader: Your Clan honors you and all the service you have given to us. I call upon StarClan to give you many moons of rest. The Clan will call out the retired warrior's name and then he or she will go to the elder's den. Usually, an elder ceremony is held only when a cat retires due to old age. If they are forced to retire because of a severe injury (such as Longtail or Stonepelt), there is no ceremony. "Spirits of StarClan, you know every cat by name. I ask you now to take away the name from the cat you see before you, for it no longer stands for what he/she is. By my authority as Clan leader, and with the approval of our warrior ancestors, I give this cat a new name. From this moment on he/she will be known as (new name), for (description of the reason)." I already knew that stuff. But for other leaders who might not know exactly what to say in a ceremony, this is helpful. THANK YOU FOR THIS NOW I WON'T HAVE TO GO LOOKING FOR THEM IN THE FUTURE THANK YOU.